There are many causes of car accidents; some are within a driver's control and some are not. On the Kansas City roadways, common causes range from a driver being distracted, tired or under the influence of alcohol to reckless driving and other traffic violations. Being aware of these risk factors enables you to drive more defensively to avoid being involved in a car accident. Distracted driving is at the top of the list. According to NHTSA, approximately 9 people are killed and more than 1,000 injured in accidents involving a distracted driver every day. 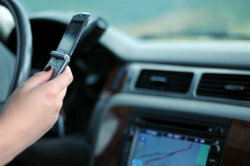 One of the most common distractions while driving is using your cell phone to text, email and talk. Of course, anything that takes a driver’s eyes, hands or attention away from driving increases the risk of an accident occurring. Driving under the influence of alcohol or drugs, both legal and illegal, impair one’s ability to drive. These substances impair one’s vision and hearing, decrease muscle coordination and result in slower reaction times, making that driver a danger to others on the road. 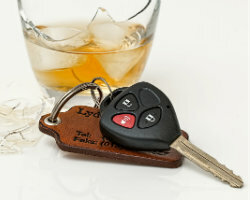 Unfortunately, car accidents caused by driving under the influence occur way too frequently. Long hours behind the wheel of a heavy truck makes truck drivers prone to driver fatigue. Night driving is another risk factor. It actually doubles the risk of car accidents occurring despite the fact that there is typically less traffic on the roads. Unfortunately, the nighttime makes it more difficult to see any roadway hazards and it is when you are more likely to find drunk or drowsy drivers. Aggressive driving and road rage have also become a serious problem on our roadways. According to NHTSA and the Auto Vantage auto club show, 66% of traffic fatalities are caused by aggressive driving. When aggressive driving escalates to road rage, drivers sometimes let their emotions take over — tailgating the offending driver, speeding to get around him or her then quickly pulling in front and braking. Teenagers and inexperienced drivers are a driving hazard. They are more likely to underestimate a dangerous situation and are more likely to drive with distractions (such as texting and driving). According to the CDC, teen drivers are more likely to speed than adult drivers. Their lack of experience often leads to car accidents. When you have questions, contact our knowledgeable staff at (877) 284-6600. Speeding is an easy way to cause a car accident. The faster one drives, the less time you have to react and high-speed collisions typically result in devastating injuries and fatalities. Even minor or moderate speeding in the wrong area can lead to disastrous results, such as hitting and killing a pedestrian. Tailgating means impatient and reckless drivers following too close to the vehicle in front of them. This reckless behavior decreases the amount of time a tailgater has to react. Often, the driver in front of a tailgater decides to tap their brakes in order to get the tailgater to back off. This can create a dangerous situation such as the tailgate driver losing control or slamming into someone’s rear bumper. 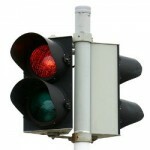 Running red lights may be considered reckless driving. Often running a red light leads to side-impact collisions at high speeds or cause rollover accidents, which can have deadly results. Weather, such as rain, snow, ice and fog, can make for treacherous road conditions. Bad weather impairs one’s ability to see. 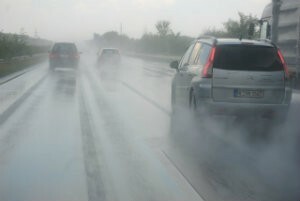 Moisture can make the road slippery. Water can pool on the roadway and create dangerous surfaces causing vehicles to hydroplane, spin out of control or skid while braking. Unfortunately, many drivers (especially younger, less experienced ones) do not know how to drive in bad weather conditions. The physical condition of the road can lead to car accidents. Roadways that are improperly maintained can make it difficult to maintain traction or stop abruptly. Potholes, caused by the wear-and-tear and weathering of the roads, can cause a tire to blow out or a driver to lose control of his or her car. Car accidents on dangerous roadway curves often involve fatalities and serious injuries. Drivers, not realizing the severity of the curve, can lose control of their cars, leave the road and slam into a tree or other obstacle. The car itself can cause car accidents if not maintained properly. For instance, failing to maintain the brakes or worn tires can mean a car won’t stop in time. Under-inflated tires can cause tire blowouts. And, while manufacturers are required by law to design cars that meet a minimum safety standard, design failures occur. Questions? Contact our knowledgeable staff at (877) 284-6600. Negligence is a common cause of car accidents. However, when you or a loved one has been seriously injured in a car accident, you may not know how to prove negligence. The attorneys at Nash & Franciskato take that burden off your shoulders. We know what documentation is needed and what experts to consult. We are experienced car accident attorneys.